Selective Living is a state-of-the-art manufacturing facility. We employ computer automated processes and procedures to ensure that we create the finest products to meet our customers needs and schedule. Starting with a customer's blueprint, we are able to disseminate the entire project and determine the optimal cutting patterns to ensure minimal waste. Our automated process will automatically pass all of the required cutting operations to our cutting machines.After each piece is cut, a barcode number is assigned and placed on each piece and ensures that all of the cutting operations have been completed. This allows Selective Living to track and mange every individual piece of any customer's job. 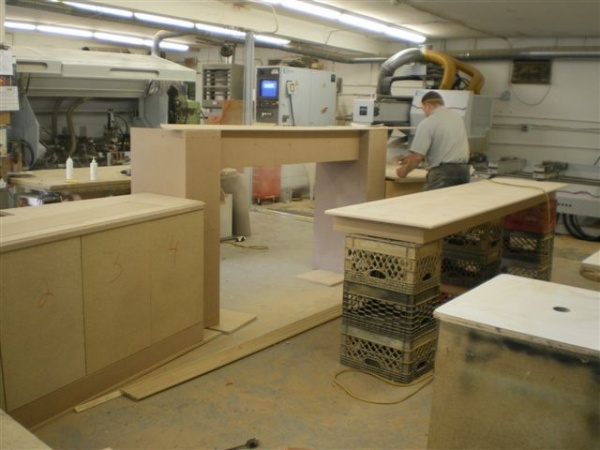 In the final assembly area, our expert cabinet makers will assemble your project piece-by-piece and ensure that all of the details and specifications are maintained. Please visit our photo gallery to view some of the many projects that Selective Living has created for its customers.